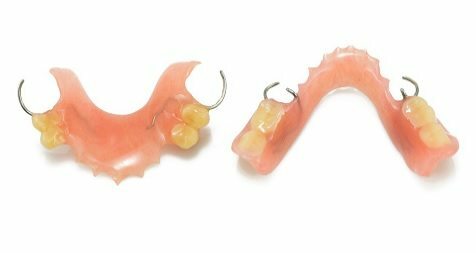 Acrylic partial dentures: A standard, low-cost solution, these entry-level dentures offer less stability and precision than their higher-end counterparts. As a result, acrylic partials are more difficult to adjust and tend to wear down sooner. 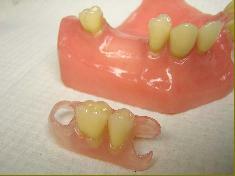 Titanium partial dentures: Partial dentures similar to the Vitallium prosthesis, but lighter and more flexible. The clasps are more supple and reduce pressure on the teeth. Ideal for patients with sensitive teeth, or people with a crown or bridge. Hybrid: Partial dentures with a metal base (chosen from a range of options). The pink nylon clasps provide superior aesthetics. Certain conditions apply. Flexite or FRS partial dentures: Partial dentures typically used to maintain tooth spacing following the loss of one or two teeth. 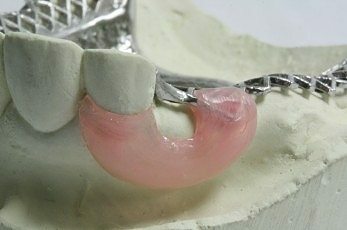 Implant-supported partial dentures: No more clasps! 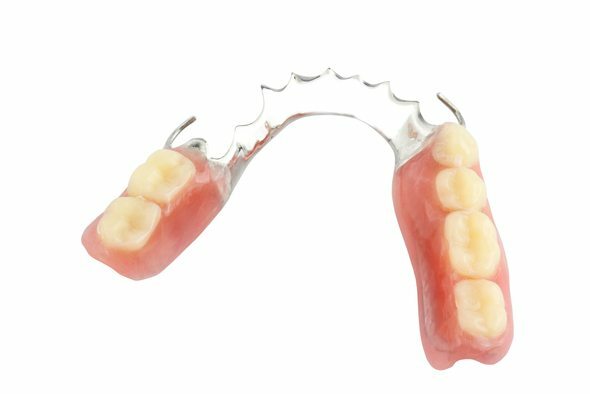 These partial dentures constructed with a titanium base provide stability, precision and great aesthetics. 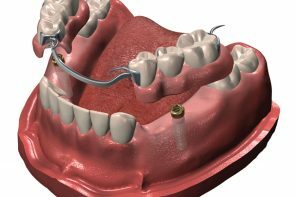 The dentures are secured by locator-type implant attachments instead of clasps.